I think you see that most if not all complaints or low scores were due to extended delivery times, and in some cases less than perfect customer service in regards to being able to predict when someone's order will be delivered. My experience with AR500 has been 5 stars all the way, from my first purchase a few years ago, then during their big move, and even the last order still gets 5 stars. I have not personally felt "neglected" as a customer, but I have responded to in a reasonable time frame for every E-mail I have sent. I ordered this for my daughter when she went off to college. With all of the issues happening in schools and public institutions. It put my mind at ease knowing she has a shield in her back pack that is strong enough to defeat the most common threat but is light enough to insure she will always have it with her. I recently took advantage of the Rimling 10 X12 BOGO sale. I have ordered Body armor from others and it literally came in piece by piece and we are talking months between actually delivery. While I was "on the job" my agency supplied me with body armor. But when I retired I had grown accustomed to having body armor when I carry a weapon or go to the range. I had only wished I had also purchased my vest from AR500 who delivers on time, and informs customers of any delays. Review from William K. Review by William K.
It fits my plate carrier perfectly. Delivery was fast, too. I haven;t actually been shot while wearing it, so I cannot comment on it's effectiveness. If that ever happens, I'll keep you up to date, if the internet still works then. My Rimelig armor arrived slightly ahead of the projected schedule! With church shootings, school shootings, threats from ISIS, and crime in the community on the rise, every time you turn around, I feel safer with this product. I will use this with the concealed carrier, during the normal day. And, I'm not law enforcement, just an average everyday citizen, and how many civilians say, "It will never happen to me?!" The odds are slim, but I wear it "just in case". The hard armor can be used in any SHTF scenario, should the grids ever go down, if you need increased rifle protection! 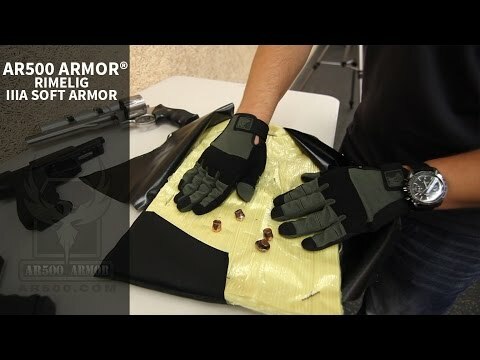 Otherwise, this Rimelig soft armor is light and will offer protection from most common threats. 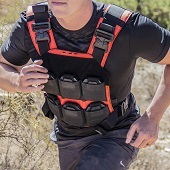 I need something to protect my back while wearing my "assault carrier". I have AR500 hard armor for the front, so I should be protected. I saw your ad on my facebook page and I thought "I didn't know regular citizen's could purchass body armor (I just never thought about it) but when I looked into it I realized that this is affordable on any budget (cause I'm a bum) seriously tho, I was impressed with every video I saw and I take my hat off to the owner, oh "what's his name" cause I can tell he really cares about his product. I'm impressed with everything I've experienced with AR500 armor. so far I haven't been shot at but I got my fingers crossed, all kidding aside I feel confident that AR500 armor product's will save my life if I'm ever in that terrible situation. I want to thank you for making a quality product at an affordable price. I ordered this during the Memorial day sale. Not much to say, my concealment carrier is on its way so i can't test fit it yet. I'm impressed with the quality of the Rimelig and trauma pad. Only complaint is it took like a week to get here, after the shipping label was created. I'm a patient person so no big deal.